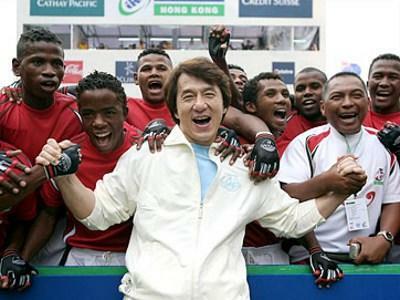 23 Jul – It was reported that action superstar Jackie Chan will be attending an upcoming martial arts competition in Madagascar. According to Africa Review, Jackie is expected to make an appearance at the 5th edition of the Kung Fu Wushu African Cup that will be held in Antananarivo on 5 to 10 September. Jose Ramaherison of the Malagasy Federation, also known as Master Gao, stated, "Madagascar has been making a lot of effort to host the African Cup since 2009. The dream will finally come true this year." It was also reported that six Shaolins from temples in China will also perform at the event, though the highlight of the competition will be the appearance of the "CZ12" actor, who is an idol to most of the contestants. Shaolin martial arts was first practiced on Malagasy soil in the 90s and has received a lot of students ever since.